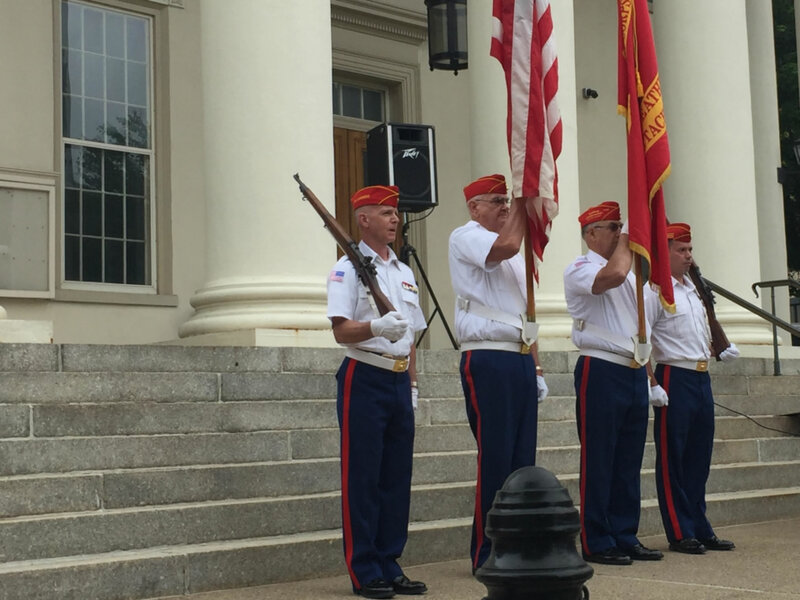 The motto of the Nittany Leathernecks Detachment is"Valiant service is not limited to combat." The detachment is first and foremost a community service organization. Prospective members should understand that and be willing to support that ideology. That is not to say there is not a social commitment, because there is. Much of the social nourishment occurs in the course of working together to achieve community betterment. But we do, in fact, hold family picnics and other events that contribute to a special camaraderie. The Nittany Leathernecks appreciate the value and leadership the Boy Scouts of America and Girl Scouts bring to our nation. The future of this country rests with our youth. 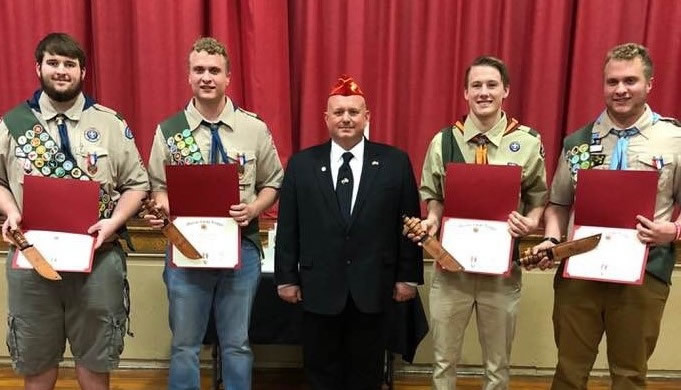 It is only appropriate, therefore, that significant achievements such as the awarding of Eagle Scout status and achieving the Gold Award be recognized. 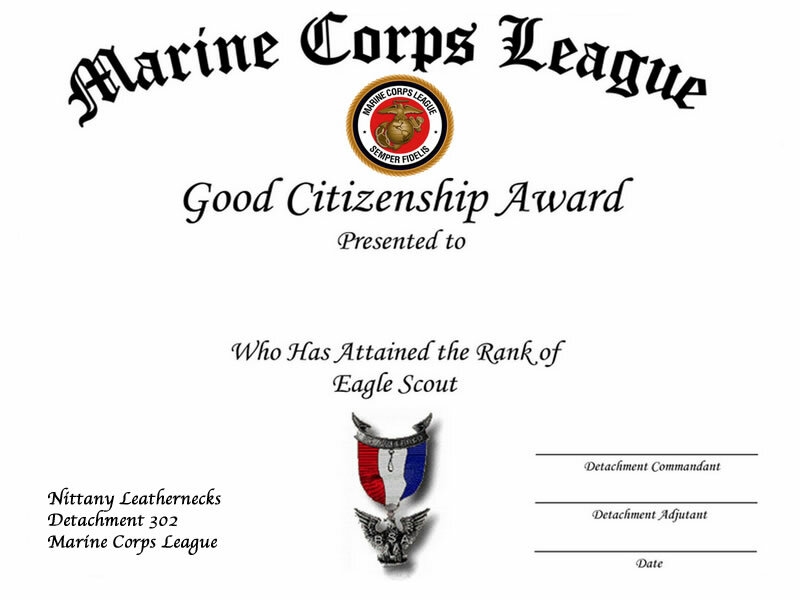 In honor of the occasion, the Detachment provides a Good Citizenship Certificate as well as an engraved Marine Corps K-Bar knife to the new Centre County Eagle Scout or Gold Award recipient. 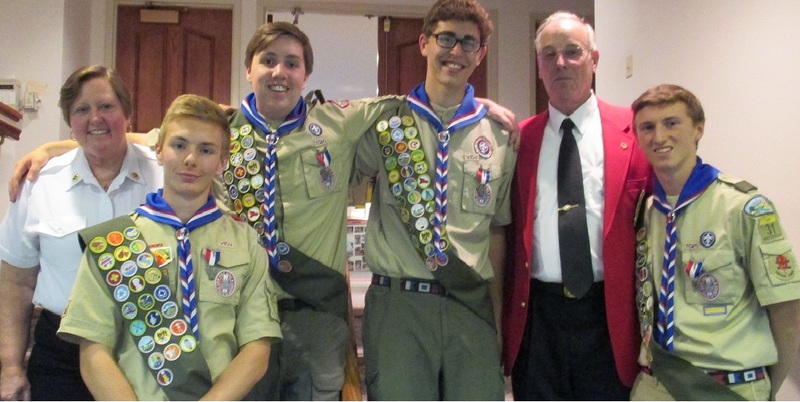 Troop Request - To initiate recognition by the detachment, the supporting Centre County Juniata Council Boy Scout Troop or Centre County Girl Scout Troop should submit a request in writing to the detachment. This link provides guidance and instruction and a sample letter format. Members of Det 302 participate each year in Special Olympic events. The mission of Special Olympics PA is to provide year-round sports training and competition in a variety of Olympic-type sports for children and adults with intellectual disabilities, giving them continuing opportunities to develop physical fitness, demonstrate courage, experience joy, and participate in a sharing of gifts, skills, and friendship with their families, other Special Olympics athletes, and the community. 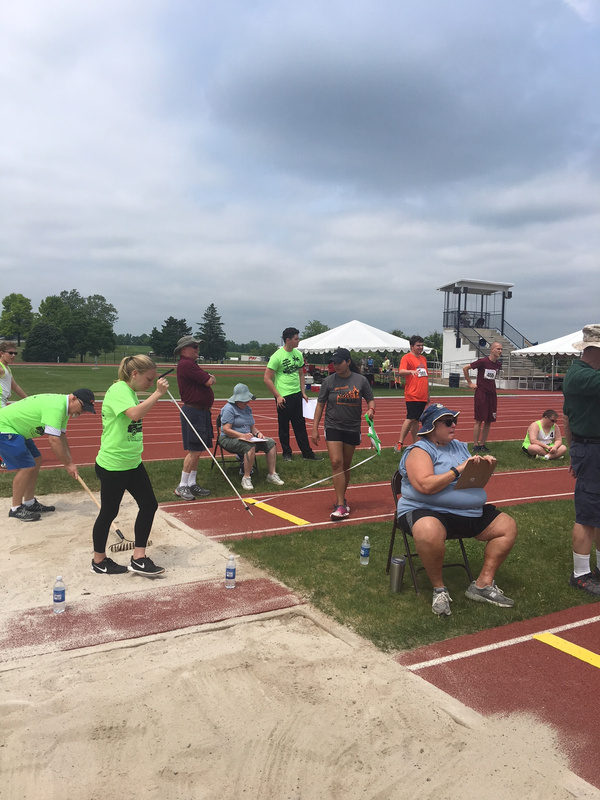 The athletes of Special Olympics -- nearly 20,000 strong here in Pennsylvania -- are constant reminders of all that is right with the human spirit. 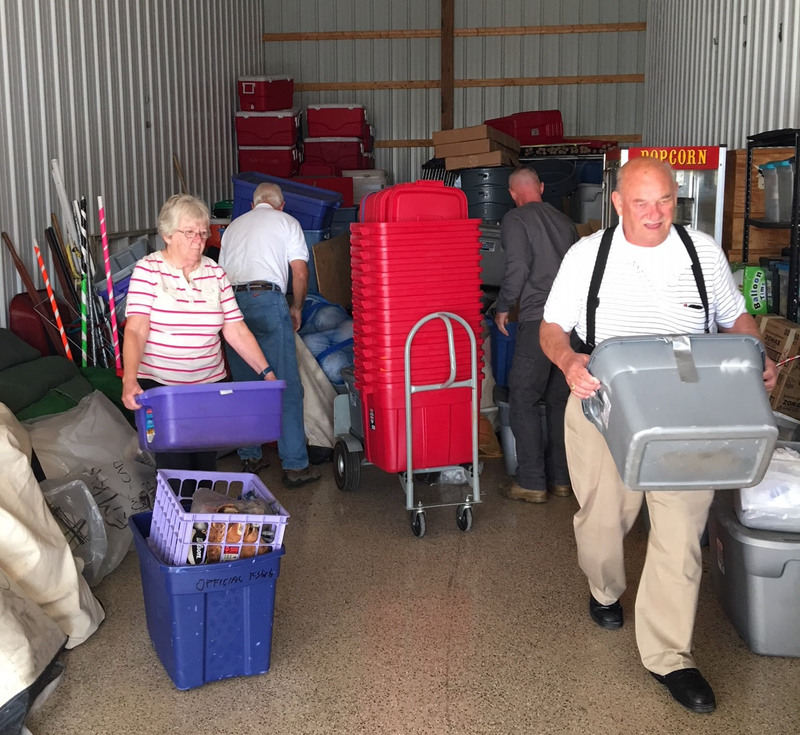 The traditional project is the cleaning and organizing of the Special Olympics Pennsylvania storage locker in Bellefonte. The detachment point of contact is Adjutant Diane Grieb. Previous projects included the restocking of food at the State College Food Bank. The detachment has painted the facility and also added a basement stairwell covering. 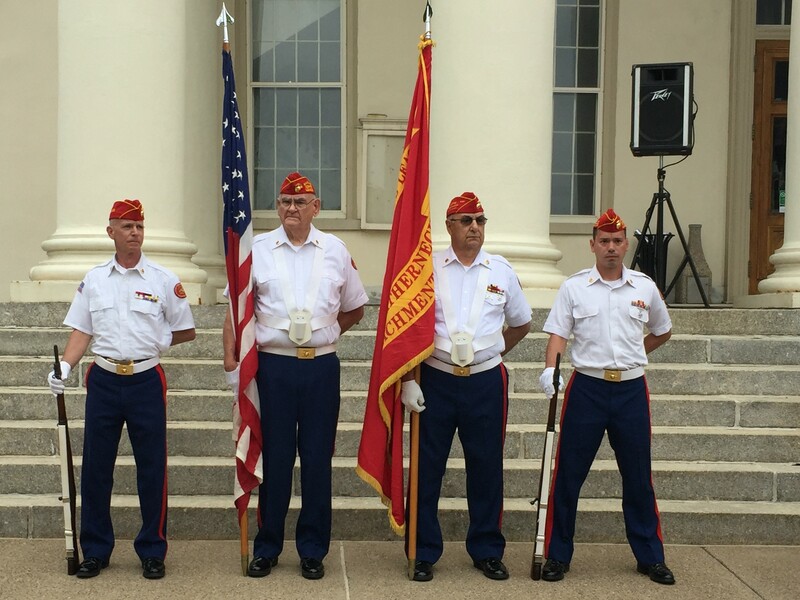 Marines Jeff Schiesler, Jack Lambert, Marty Kaschalk, and Thomas Stoner serve as the Color Guard for the Memorial Day Ceremony in Bellefonte on May 28, 2018. Community involvement... Includes supporting the education of our youth as well as adults seeking self-improvement to better serve in their community. 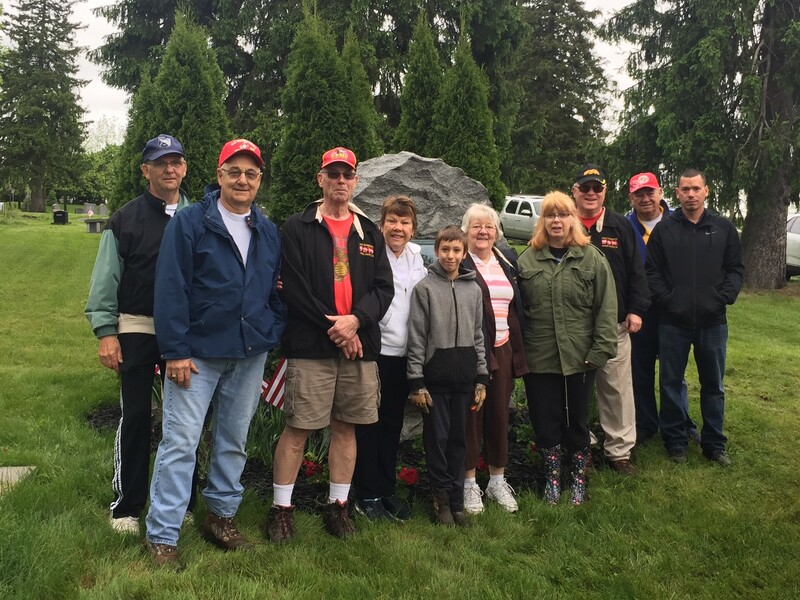 The Russell Scholarship Fund was established during 2006 by the Nittany Leathernecks to honor Colonel Gerald F. Russell, USMC (Ret), a patriot, humanitarian and combat veteran of Guadalcanal, Iwo Jima, Korea and the Cuban Missile Crisis. The fund was unveiled at a surprise 90th birthday party put on for Colonel Russell by friends throughout Centre County. Colonel Russell was a tireless community volunteer leader. He is known throughout Centre County (and beyond) for his various efforts which include the Pennsylvania Special Olympics, Centre County Toys for Tots, United Way Day of Caring, and many other programs that benefit the community. Having witnessed the tragedy of war first-hand, this fund, which is administered by the Centre County Foundation, held special meaning to Colonel Russell, especially relative to its support of eligible dependents of local veterans and (most especially) the children of local Armed Forces Soldiers, Sailors, Airmen, Marines, and Coast Guard who have served their country with honor. Students will be asked to share their military affiliation, including family member and branch of the US military served. Students will be asked to submit a short essay describing their leadership roles, future career plans, and how the scholarship will help them achieve those plans. Students will be asked to include a letter of reference. Most of the qualifications are covered through student answers to a general application that they must fill out. Those students whose answers match the qualifications are invited to apply for the scholarship. Then they are asked the additional questions. Follow this link for more information about Centre Foundation or follow this link for Colonel Gerald F. Russell Scholarship Fund application information. Individuals contributing a minimum of $250 will be designated Founder's Circle (FC) members. FC's will receive a detailed annual report and are also noted in the position of honor below. 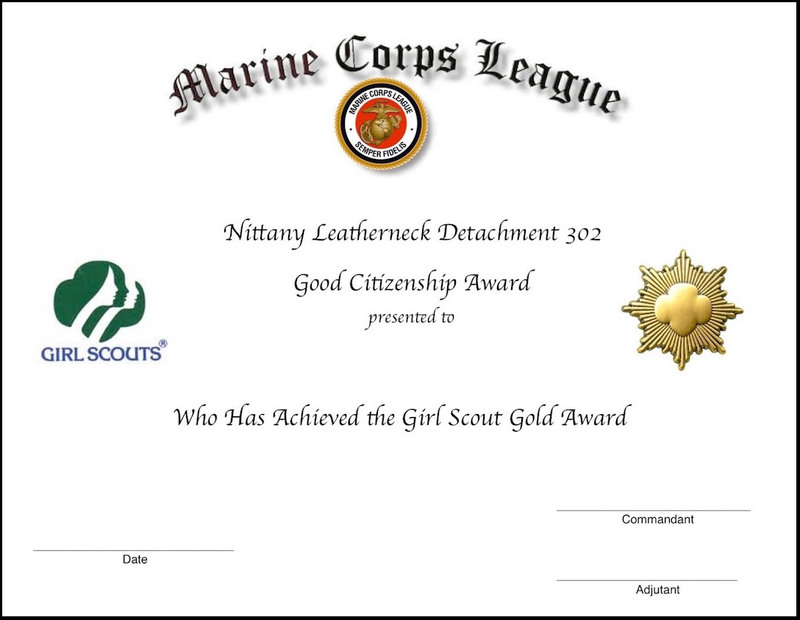 Each year the detachment sponsors a leadership award on behalf of Penn State University's Naval ROTC unit. The Colonel Gerald F. Russell Leadership Award is presented to the Marine Enlisted Commissioning Education Program (MECEP) or Marine Option NROTC student who best exhibits outstanding leadership and community service qualities, as determined by Penn State University's NROTC command element. The award consists of a special certificate, professional books, and an officer's jewelry box containing second lieutenant paraphernalia. This award is named in honor of detachment member Gerald F. Russell, a combat veteran of World War II who served at both Guadalcanal and Iwo Jima. Colonel Russell also commanded a combat battalion in Korea and a regiment at Guantanamo Bay, Cuba during the Cuban Missile Crisis. Following his distinguished Marine Corps career, Colonel Russell served The Pennsylvania State University as an assistant vice provost within the College of Education. 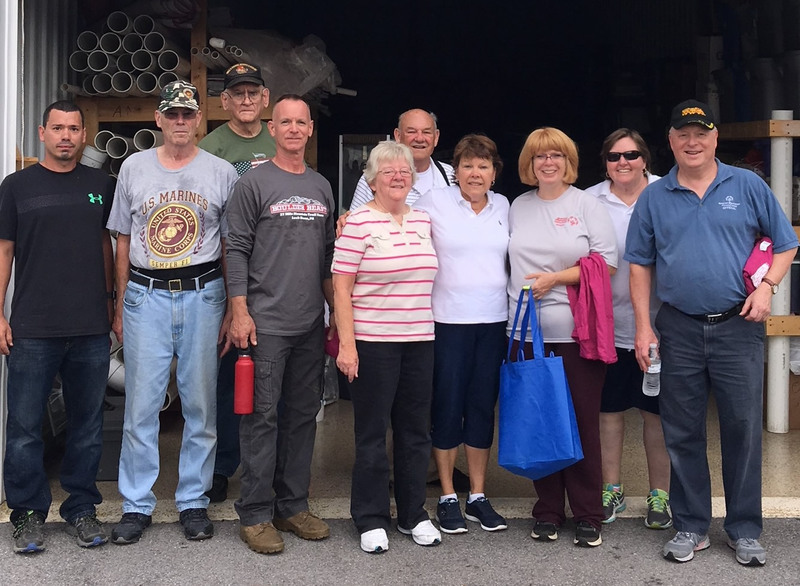 In retirement, Colonel Russell continues to serve his country through both random and selective acts of community service. 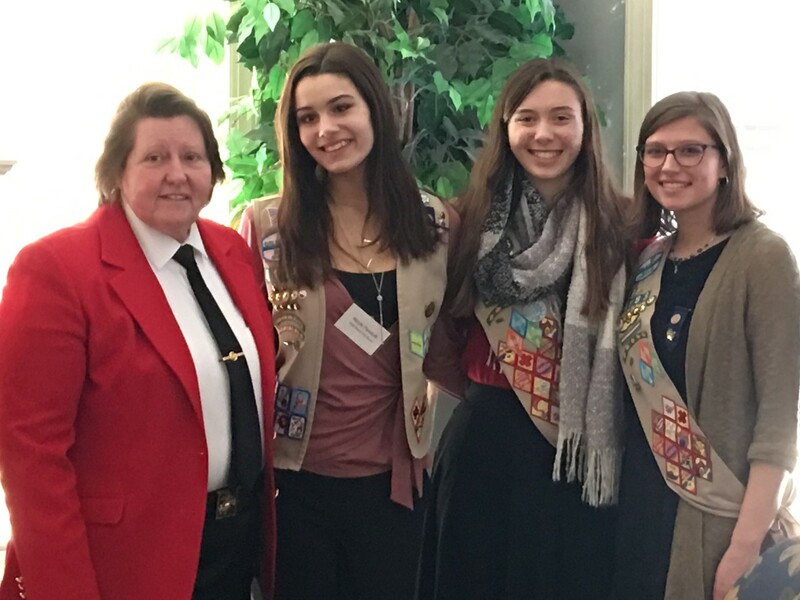 A highly recognized community volunteer, Colonel Russell continues to provide daily inspiration and leadership throughout his community -- and beyond. Colonel Russell epitomizes the highest qualities and virtues of the citizen warrior. It is important that all veterans register with the VA for health care benefits. Whether you require medical attention or not, this action (registering) provides the numbers Congress and the DoD look at in determining annual funding for the Department of Veterans Affairs. 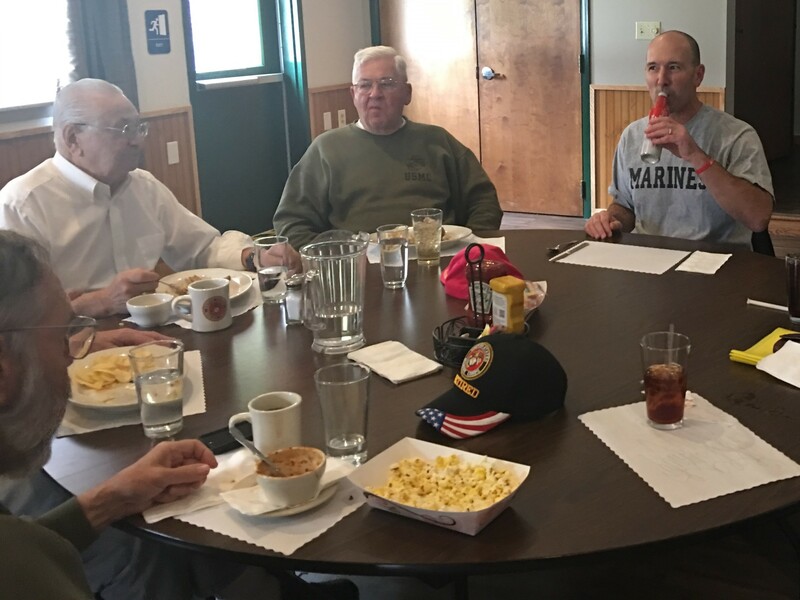 The Nittany Leathernecks are committed to assisting ALL military veterans, regardless of service affiliation. These numbers are what will speak clearly to this nation when budget battle lines are drawn. The PDF link below provides an application form (10-10EZ) you can download. There are also instructions for filling the form out. Once complete, send the application to the James Van Zandt VA Medical Center in Altoona (if you are a Centre County veteran). The address is noted. For all other veterans, contact your local VA office in order to identify the location you need to send your completed form. The Department of Veterans Affairs has recently discouraged VA Medical Centers from pro-actively registering veterans. So it is up to organizations like the Nittany Leathernecks to get the word out. This is a benefit you EARNED by serving your nation during both times of war and peace. Even if you do not require medical assistance by the VA, you should register. Annual congressional budgets are based on the number of known living veterans. If not for yourself, register so that those who DO need medical assistance now, or in the future, will have that resource available to them.